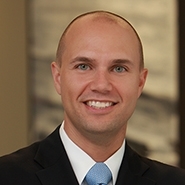 Lewis Rice LLC is pleased to announce R. Bradley Ziegler has returned to the Firm in the Litigation Department. Brad practiced at Lewis Rice from 2005 - 2013 before moving to Paducah, Kentucky, where he continued his practice at The Miller Law Firm. Brad's practice has primarily been focused on complex commercial litigation, securities litigation, and admiralty/maritime work. In addition to counseling and representing clients in these primary practice areas, he works in the areas of arbitrations, employment litigation, and collections. Prior to attending law school, Brad gained valuable securities and commercial experience as an Investment Representative for Edward Jones and as a Credit Manager for Marion Pepsi Bottling Company. "Brad's depth of experience in securities and complex commercial litigation is a real asset to the Firm and our clients," said Litigation Department Chair Richard B. Walsh, Jr. "We're thrilled to welcome Brad back to the Firm."